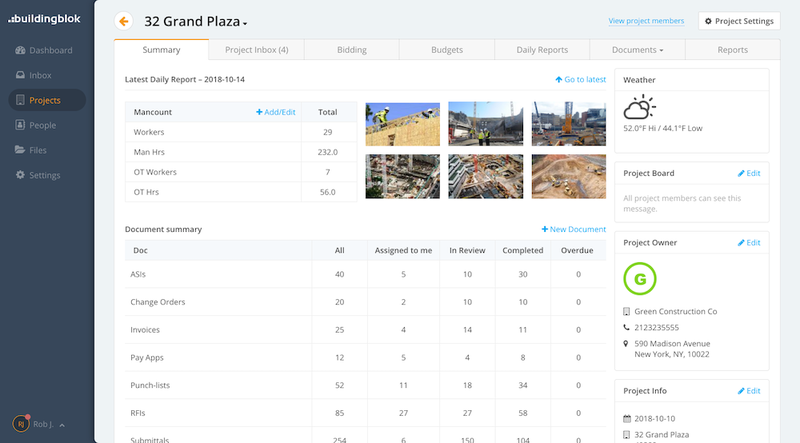 BuildingBlok’s construction project management software works the way you do. We connect your teams in the office and on the jobsite, so collaboration happens 24/7, from any device – giving you greater visibility and control. Save time, alleviate paperwork, and improve billing accuracy. Mitigate risk and ensure all your projects stay on track. 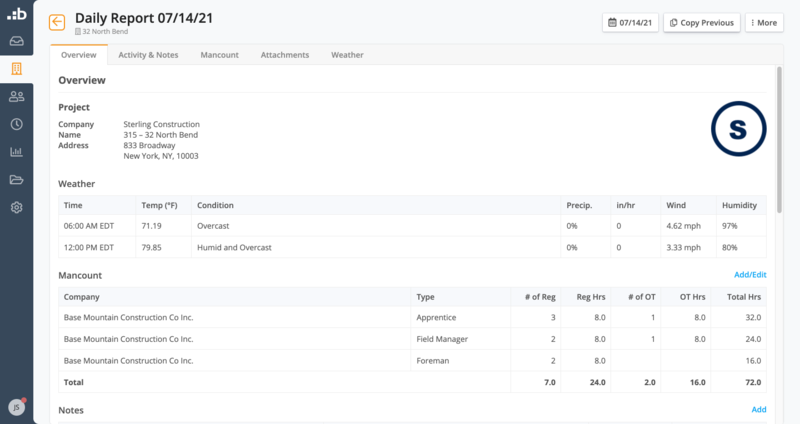 Centralize current and projected expenses for full visibility of your project costs. Let’s be honest, construction project management is complex. That’s why at BuildingBlok, we design our construction project management software to work the way you do. Our easy-to-use, cloud-based construction project management software are specifically built for construction. They help you be more productive by spending less time organizing work, and more time actually getting work done. Added Note: "New drawings are attached to submittal." BuildingBlok delivers a simple, complete record for every project, providing total clarity and accountability across your teams. With all relevant conversations and documents in one place, your team has a single source to go to for the most up-to-date information. This keeps all communication focused and actionable so you always know the status of work being done across your projects. BuildingBlok can be deployed to your teams quickly, with minimal training and rapid adoption. Our intuitive design makes it easy for you and your team to navigate the platform and its features. With our competitive, flexible and straightforward pricing, you can tailor our tools to fit your needs. With our mobile apps, you can access and enter project data anywhere, anytime – even offline. No matter where you are, you are always connected. Download BuildingBlok Mobile to access all of your project data. Download BuildingBlok Timesheets to clock in/out of projects from the field.